I’ve abandoned my 225 sq. 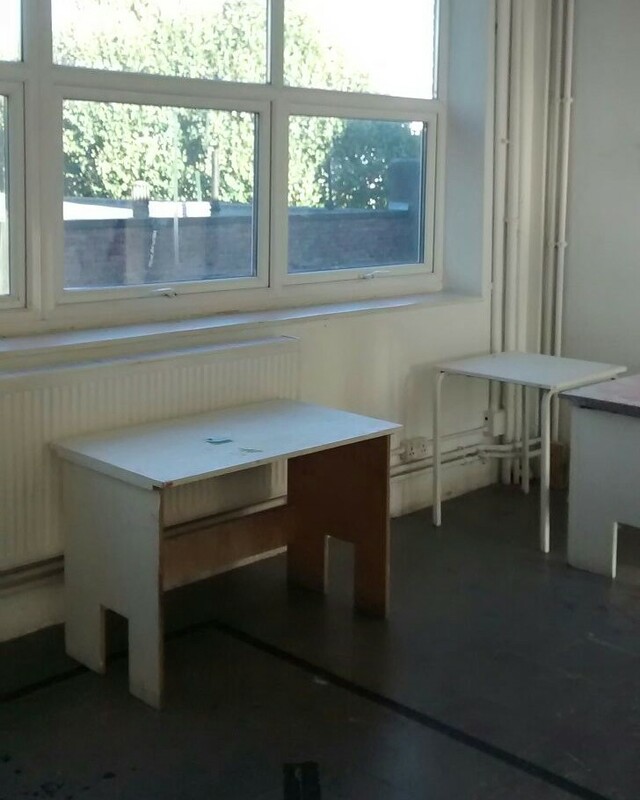 ft. private studio for a desk space among 39 others in Central Saint Martins studios in Archway, London! In October 2016, I began an MA programme in Art and Science, investigating the creative connections between art and science and how to communicate those relationships and ideas. I think many of us are familiar with some great examples of the convergence of art and science across history. Think about Leonardo da Vinci’s many exploratory drawings, including the Vitruvian Man. Mary Shelley’s 19th c. novel, Frankenstein. Carl Jung’s imaginative Red Book prints. Picasso’s exploration of space in Les Demoiselles d’Avignon. Or the abstract beauty of Einstein’s mathematical equations. Two broad fields overlap and intermingle, converge; the commonly accepted modern divide between art and science is, in fact, wrong. What drew me to this MA course is that it is not a Fine Art course, but is structured to teach and support interdisciplinary learning and practice, perhaps in defiance of that gulf. To my mind, art and science operate in similar ways. They are both grounded in asking questions, in seeking meaning. Traditional thinking may ascribe different attributes to each field’s approach. The scientific method brings to mind words like hypothesis; describable; measurable; logical; objective. And the artistic method intuition; ambiguous; open to interpretation; mysterious; subjective. But here, these ideas become a fluid spectrum that we are encouraged to move within and around, to turn on end and dance about. To openly and experimentally engage from new perspectives. And that is really exciting!